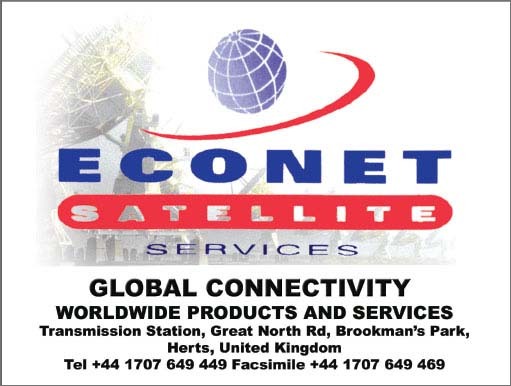 By Econet Satellite Services Ltd.
Econet Satellite Services Ltd (“ESS”), a wholly owned subsidiary of the Econet Group (“Econet”), is a facilities based provider of wholesale international carrier services to fixed and mobile telecommunications operators in Africa. To cost-effectively service the needs of international operators wishing to establish multiple links into Africa via a convenient central point. Recognising that London is the de facto telecommunications hub in the world Econet made the strategic decision to extend their operational presence from Africa into Europe and to compete in an aggressive but severely under-serviced carrier market for Africa. 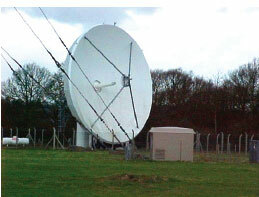 In order to fulfil its mandate Econet purchased a PTO licence in the United Kingdom and established Econet Satellite Services Ltd. To establish rapid connectivity with operators in Africa ESS purchased two satellite antennas, which were installed at the Brookman’s Park satellite ground station facilities just north of London, UK. Two satellite transponders were purchased to service the needs of our customers in Africa. Switching equipment was installed in a central London Telehouse, which also serves as the point from where we interconnect to telecommunications operators in Africa and the rest of the world. 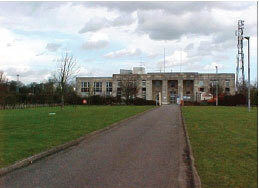 A management team of approximately 25 professionals manages the commercial and technical aspects of the London facilities. Approximately 300 professionals in various locations in Africa back this team. In order to facilitate communications with operators in Africa ESS has an office in Sandton, South Africa. During 2003 an office was established in France to extend the reach of ESS in Western Europe and to service our activities in West Africa. Having won bids for licences to operate mobile networks in Kenya and New Zealand means that in the next couple of months Econet Wireless Kenya and Econet Wireless New Zealand will also be interconnected to ESS. The Econet network in Botswana, operating under the brand of Mascom, will be interconnected when the regulatory authorities of Botswana approve an international gateway licence. Negotiations for this approval are in an advanced stage. Having completed the first operational phase ESS is now focussing on interconnecting other African operators to ESS and to provide these operators with the opportunity to cost-effectively establish links to multiple operators via the ESS POP in London. Several interconnections are in the final stages of design and implementation and will become operational during 2004. The Econet Group has established itself over the past seven and a half years as a successful and innovative mobile telecommunications business, principally involved in cellular network operations, provision of Internet access services and merchandising of telephones and accessories, mainly in the emerging economies of Zimbabwe, Nigeria, Botswana and Lesotho, and more recently in New Zealand and Kenya. Towards this end, the Group operates or has material investments in three operational GSM mobile networks in Nigeria, Lesotho and Zimbabwe and in two networks pending launch in New Zealand and Kenya, and focuses on delivering a high return on capital by stimulating revenues through market segmentation, providing quality customer care and product innovation, and managing capital expenditure levels and operating costs across its operations.The vision of the current Directors and Shareholders with respect to the Econet Group is the development of a global communications entity operating as a niche player in the key market segments of cellular, fixed and satellite telephony in Africa and beyond. In this regard, the Econet Group’s most critical growth markets are viewed as Sub Saharan Africa and the Asia Pacific rim region. Towards this end, the Board has actively pursued opportunities over the past three years to position the existing Econet Group as a leading provider of telecommunications solutions in its core markets on the African continent and to establish the Econet brand outside the African continent, commencing with a significant presence in the Asia Pacific rim region. With the recent development of an interest in New Zealand, the requisite steps have already been taken over to ensure that a presence has been secured for the Group in its immediate targeted areas of operation. Consequent upon this rapid expansion programme, the Econet Group has emerged as a well-respected player in Africa’s telecommunications markets with a unique and recognised approach to the industry, which has successfully fought for access and customers against more ubiquitous and established competitors.